Body is muslin that is painted and stained. Face, hands and feet are needle sculpted. Hat is crocheted doily. 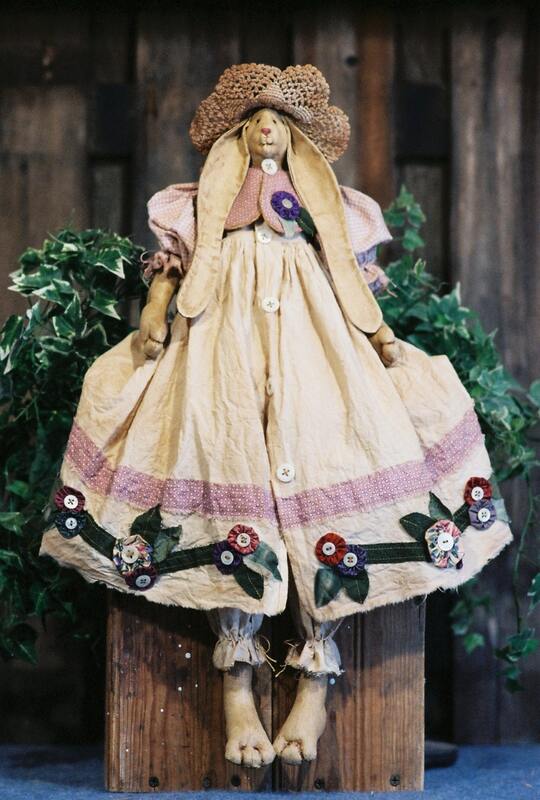 Her dress is adorned with a vine of yo yo flowers with buttons, and fabric leaves on the front of her dress. Easy to make. your patterns are great. thanks!